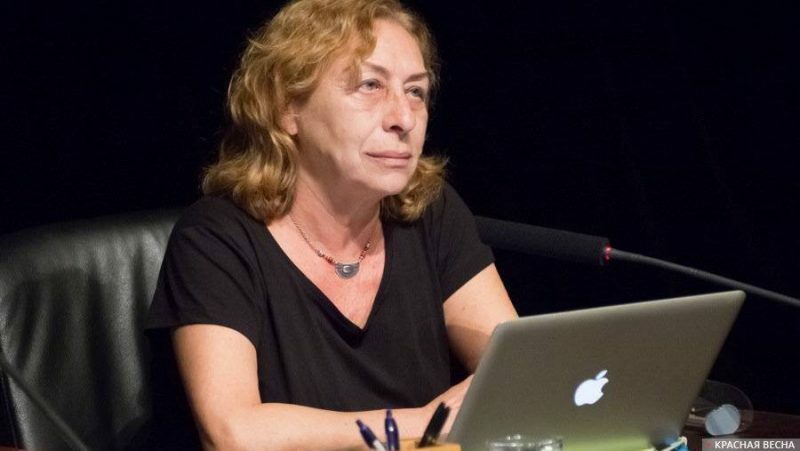 Argentine writer, playwright, and social activist Sara Rosenberg called the actions of the West against Venezuela a dangerous precedent in her interview to the Rossa Primavera News Agency on February 4th. According to Rosenberg, greed and the desire to take possession of Venezuela’s vast natural resources are classical components of the colonial and imperialist policy that has been demonstrated in Libya, Syria, Iraq, and other countries. But this time, it’s not just the policy. “The West is determined to get rid of any sovereign policy in Latin America. They need obedient governments, like the Lima Group member states. The need is to destroy the unity of Latin America, which Chavez was defending so passionately (the Union of South American Nations, MERCOSUR, ALBA),” the writer underscored. “But even this situation is not the most terrible thing. The most terrible thing in the conflict is the collapse of all international legitimacy: a state’s right to elect its president is not being recognized. It is a war against the state, against constitutional law, and even against bourgeois democracy itself, implying separation of branches of power from legislation,” she added. According to Rosenberg, other countries’ intervention as in the case of Spain acting under the leadership of the United States, questions international law as well as the existence of the state itself. “This is very dangerous. A country or a group of countries decides to change one elected president to another self-proclaimed president. This is not only a parliamentary, but also a state coup. It is clear that such a globalist policy is inspired by large corporations and banks. They stole Venezuela’s international funds, blocked its economy, and boycotted it, and now they “elected” a president for the country. Though no one recognizes him except the EU, the US, their banks, and the institutions that they corrupted,” she said. In her opinion, the actions of the West in relation to Venezuela represent an unacceptable precedent that questions the existence of the nation state, international standards and the national sovereignty itself. “They used military coups before; now they are organizing political coup d’états, which international institutions are legitimizing. Fortunately, the UN has opposed it, but the EU has supported the coup, and it will soon be able to see the consequences. What’s more, these are consequences for Europe itself. Such actions are a huge risk for all countries of the world,” the writer said. Speaking about the role of Spain, the writer stated that it plays a “terrible role” in this matter, provoking invasions of Latin America from Europe. “It is a wicked role, but all the Spanish parties agreed with it, with the exception of those small and weak left forces from the Communist Party. Even the Podemos party supports this colonial policy,” she concluded. Sara Rosenberg was born in Argentina and during the 1970s participated in the resistance against the civilian-military dictatorship. After the defeat and subsequent repressions, Sara was forced to leave the country. Sara Rosenberg is the author of 5 short stories, 4 plays, as well as fairy tales and poems. A number of the writer’s works have been translated into foreign languages. Her political essays are periodically published in Spanish-language publications (La pupila insomne, Resumen latinomearicano) and other media. Sara hosts broadcasts on Cuban radio. This entry was posted in News from the West and tagged Communism, Democracy, EU, Imperialism, Interview, Political War, Sara Rosenberg, Spain, USA, Venezuela. Bookmark the permalink.